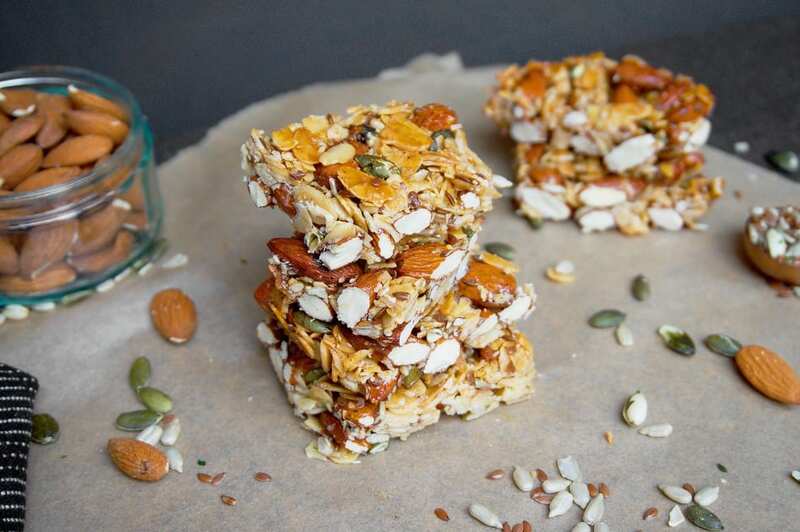 If you’re a fan of my sticky coconut and nut bars then you’re absolutely going to love my 4 ingredient Primal granola bars. 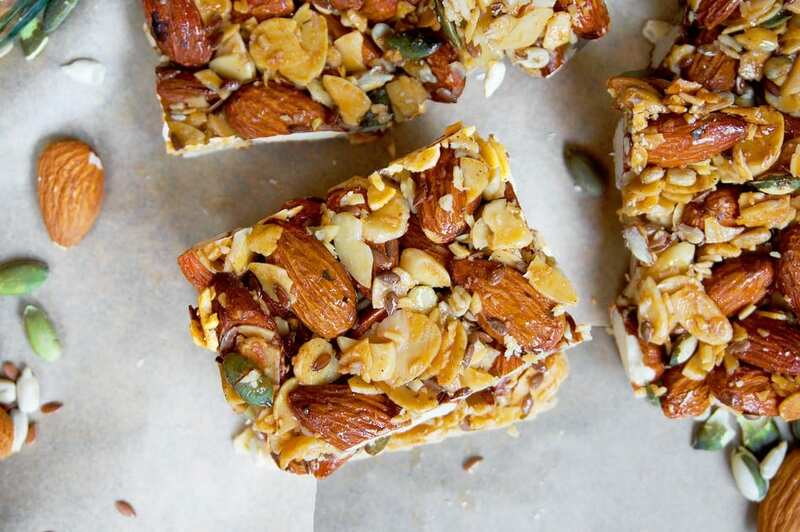 They’re simple, sweet, sticky (everything a granola bar should be) and come with the perfect crunch. To make my Primal bars you’ll only need 4 essential ingredients however, feel free to add whatever knick knacks you may fancy. Personally, I wanted a recipe that was very simple and quick to put together but still delivered on a sweet and nutty taste. High in antioxidants which protect our bodies cells from oxidative damage which can contribute to ageing and some diseases. High content of vitamin E protects our cell membranes from damage. One of the best food sources for vitamin E.
Thanks to their magnesium content almonds can be very helpful for maintaining blood sugar levels and pressure. Can help lower cholesterol levels. Almonds are perfect for controlling hunger levels thanks to the healthy fats which will leave you feeling fuller for longer. As well as almonds, I’ve also used raw and organic honey – something you may notice that I use quite often when it comes to my Primal bakes. Many people can fall into the trap of using alternative sugar free syrups because of their clever labelling. However, most sugar free syrups are anything but healthy as they’re packed and pumped with artificial ingredients, thickeners and sweeteners. Just because it says ‘sugar free’ does not mean it’s healthy. This is exactly why I tell everybody to read the labels on the back of their products instead of falling for the big propaganda captions on the front. When it comes to raw and organic honey however, it’s the perfect ingredient to use when it comes to Primal baking (all in moderation, of course). However, I can understand the confusion that comes with honey when considering ingredients that are approved of a Primal lifestyle. Usually, I would tell people to avoid refined sugars but when it comes to the unrefined natural sweetener made by nature’s beautiful bee’s, I simply refer to raw honey as nature’s candy. After all, honey has been available to us since the caveman days and when consuming the right honey – raw and organic – it’s anything but processed and refined. One study which investigated the effect of natural honey on body weight (and some blood biochemical indices of diabetic subjects) showed that 8-week’s worth of honey can provide beneficial effects on body weight and blood lipids of diabetic patients. However, the researchers suggested that since there was a rise in the hemoglobin A(1C) levels, that cautious consumption of honey by those who are diabetic is recommended. Raw honey is also very different to your usual refined sugar. For example, white sugar is simply sucrose (fructose and glucose) and contains no other benefits for the body. It’s simply a source of pointless calories. However, raw and organic honey contains hundreds of different compounds as well as fructose and glucose and therefore, isn’t seen as a source of pointless calories as it actually contains antioxidants, vitamins and minerals. Honey also has a lower GI value than sugar, meaning that it doesn’t raise our blood sugar levels as quickly as white sugar. Basically, honey is beneficial to our body whereas white sugar isn’t and therefore, I would definitely favour it over refined sugar. Now, this isn’t me giving you permission to guzzle back a jar of raw honey like a grizzly bear. Oh no. Instead, I’m simply telling you that if you’re to use a sugar alternative when it comes to Primal baking then raw and organic honey is your safest bet rather than those ‘free from’ sugar alternatives that are packed with artificial ingredients. Like everything, raw honey is to be used in moderation. 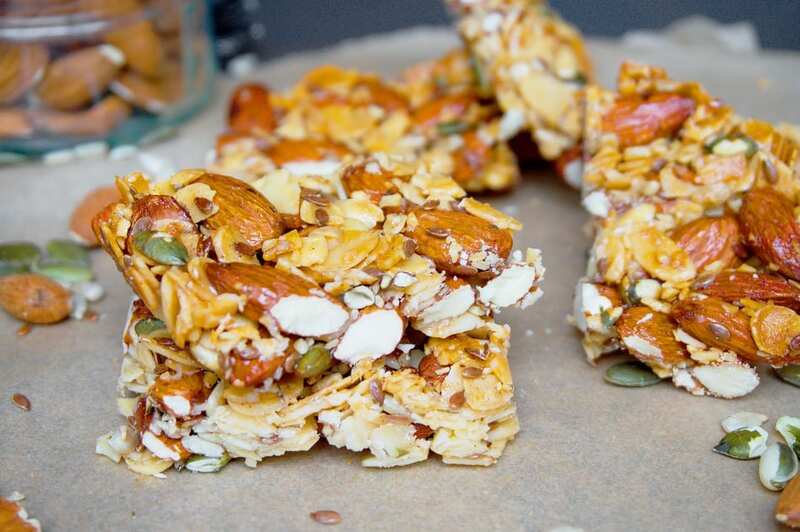 With that said, my 3 ingredient Primal granola bars are safe enough to enjoy in moderation and, thanks to their natural sugar content, they make for the perfect post-workout snack. 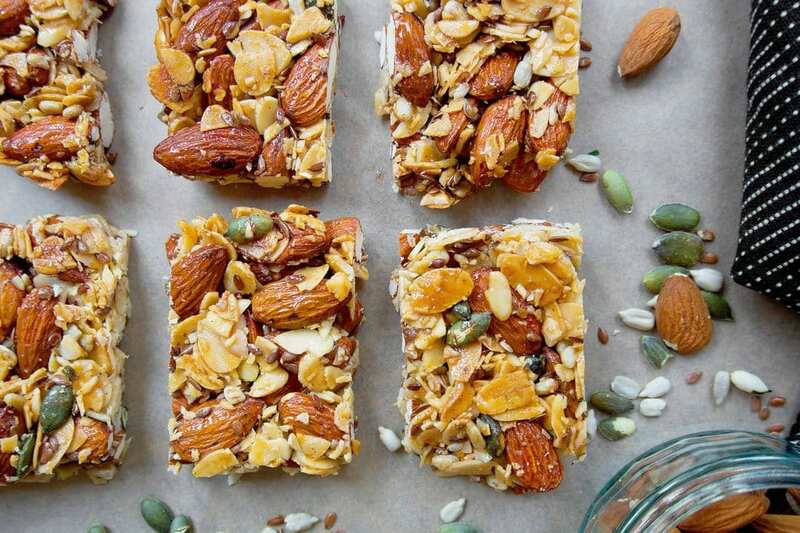 My kids are also a big fan of these sticky, nutty and crunchy bars. They’re perfect for popping in lunch boxes to fool the other children in thinking that they’re like any other unhealthy cereal bar – because trust me, they don’t taste like a health bar. You’ll definitely find that no flavour has been lacked with this recipe. If you give my Primal granola bars a whirl then make sure to tag your recipe on Primal Cure’s facebook, Instagram and Twitter page. My team and I love seeing you’re creations! 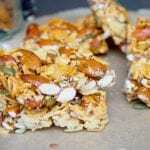 A simple yet delicious 4 ingredient Primal Granola bar recipe that's Primal friendly. These contain the perfect crunch and are perfect for snacking on. 3 tbsp mixed seeds I used pumpkin, flax and sunflower seeds. Begin by pre-heating your oven to gas mark 3. In a bowl add together all of your ingredients and mix together until everything has combined. This may take a good few minutes for the honey to work it's way around. Pour the granola mix into a greased baking tray (I use a little coconut oil to grease my tray) and evenly press the granola down so it's packed in tight. Pop into the oven to bake for 25-30 minutes or until golden brown. Once baked, remove from the oven and leave to cool completely. This is important otherwise you will not be able to cut the granola bars without it crumbling. DO NOT CUT WARM! Once completed cool, cut your bars pop into an air tight container where they will last for up to a week. These make the perfect snack for those peckish times!